TEXANS IN THE FIELD: Currently there are a total of 18 players in the field who were either born or now live in the state of Texas. Of that total, eleven players committed at this stage, were born in Texas—Bronson Burgoon (The Woodlands), Chad Campbell (Andres), Brian Gay (Fort Worth), Cody Gribble (Dallas), Kelly Kraft (Denton), Sean O’Hair (Lubbock), Ryan Palmer (Amarillo), John Peterson (Fort Worth), Shawn Stefani (Baytown), Chris Stroud (Groves). ANOTHER TOP-25 PLAYER: This week, Italy’s Francesco Molinari became the sixth player among the top-25 in the world to commit to the tournament. Molinari, is currently ranked 24th. RISING STAR ACCEPTS SPONSOR EXEMPTION: Shubhankar Sharma, who led the World Golf Championships-Mexico last week through three rounds before finishing 9th, has accepted a sponsor exemption to play in the tournament. 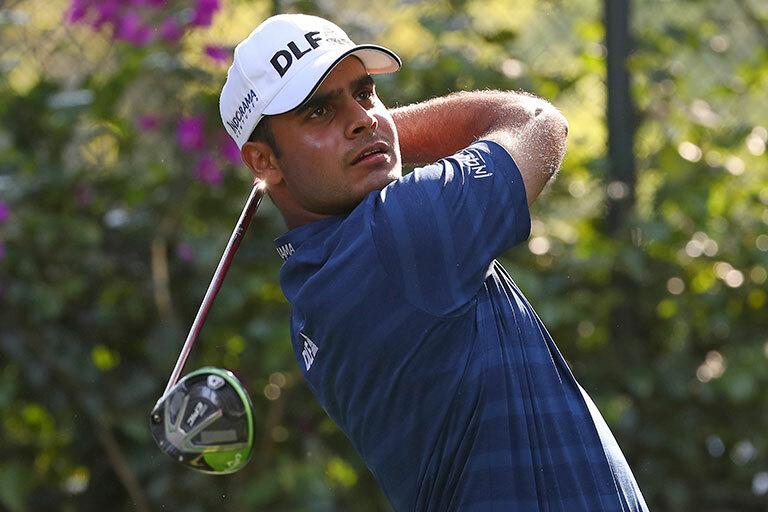 Sharma, a rising 21-year-old star from India, who leads the European Tour’s Race to Dubai rankings on the strength of two victories on that Tour, also accepted an invitation to play in the Masters Tournament this week. LUKE LIST COMMITMENT: One of the hot players in recent weeks is Luke List, who is currently committed to compete in the Valero Texas Open, April 19-22. At the Honda Classic, List, the third-round leader, birdied the par-5 18th hole Sunday to shoot a 1-under 69 and force a playoff with Justin Thomas before eventually falling on the first extra hole. The runner-up marked List’s best finish on the PGA TOUR. Also, with 15 birdies during the week, List brought his total birdie count to 556 since the start of last season, the most on TOUR during that span. FEDEXCUP CHAMPION: Bill Haas, the 2011 FedExCup champion and winner of six career PGA TOUR titles, has committed. Haas joins Billy Horschel and Brandt Snedeker as the third FedExCup champion to join the field. EAGLES FOR HOFFMAN: So far, this season, 13 players have recorded two eagles in one round. One of those is 2016 Valero Texas Open champion Charley Hoffman. During the second round of the Farmers Insurance Open Hoffman had two eagles on the Torrey Pines course. ONE TOUGH GOLF COURSE: By the end of the 2017-18 PGA TOUR season, the TPC San Antonio Oaks course was ranked the 10th toughest course on the schedule. The par-72 layout had a 72.853 scoring average by tournament’s end. The field recorded 1,441 bogeys and 176 double-bogeys; making Kevin Chappell’s winning score of 12 under-par that much more impressive. FLASHBACK: At the 1980 San Antonio Texas Open, eventual World Golf Hall of Fame member Lee Trevino rolled in an 18-foot putt on the 18th hole in the final round to shoot a 5-under-par, 65 and 15-under-par for the tournament. This gave him a one stroke victory over Terry Diehl. That year, Trevino also won the Vardon Trophy for lowest scoring average during the season. Trevino will be featured on the cover of our Saturday Spectator Guide. “I’ve hit the ball a lot today like I’ve been hitting it”... “but the 18-foot birdie on number 18 with a seven-iron to the green clinched the score.” —Trevino.